Dr. Rothman is very professional. He has listening ears and cares about his patients!. The staff is friendly and helpful! Dr. Rothman was great! He is kind and articulate, and he really listens. He's great to explain options and doesn't judge. If you are experiencing shortness of breath, chest pain or any other emergency, please call 911. 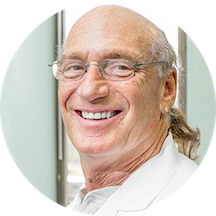 Barry Rothman, M.D., voted “Best Health Care Professional” by the residents of Alexandria, takes great pride and joy in being a physician. As a father of three girls, Dr. Rothman gives each patient the care and attention he would want and expect his family to receive. His depth in Obstetrics and Gynecology is extensive, with special focus in laparoscopy, infertility, and endoscopic surgery. He has also been voted one of Washingtonian Magazine’s “Best Physicians” every edition year since 1993. A native of the Washington, D.C. area, Dr. Rothman has provided women’s healthcare in Alexandria since 1979. He completed medical school and his residency training at George Washington University, where he received special recognition as chief resident in his senior year. Dr. Rothman is Board Certified by the American Board of Obstetrics and Gynecology. He is an Associate Clinical Professor at George Washington University. He sits on the Community Board of Med Mutual of North Carolina and is a National Speaker for Warner-Chilcott. He was past chairman, Department of OB/GYN for 3 terms and is a past president of the medical staff at INOVA Alexandria Hospital. Dr. Rothman is kind, gentle and thorough and his bedside manner is lovely. Very clear and concise in discussing any issues and potential issues. Uses terms easily understood. Always takes the time to explain procedures. Extremely personable. very genuine in his compassion towards me. The office seemed a bit busy but was able to get me in and out surprisingly fast, all of my questions were answered and he made the visit very comfortable. Dr. Rothman is always a pleasure to see. His smiling face & listening ear is very comforting. I'm glad that he's my doctor. Dr Rothman is a HOOT! He made me feel comfortable and was very thorough in the best plan for me and my needs. I would definitely recommendo him! I've been seeing Dr. Rothman for about a year now and I must say he has consistently been a pleasure to have as my doctor. He listens to my concerns, asks questions to ensure he fully understands my concerns and providesgreat guidance. He walks you through whatever he is about to do. If you are like me and hate going to the GYN because you feel awkwardly uncomfortable, Dr, Rothman's smiling face and optimistic outlook will ease that feeling. Best doctor, hands down. We actually hugged at the end! Dr. Rothman is absolutely amazing. He's super sweet & very helpful. Great introduction, made me feel comfortable. Explains everything in detail and tells you what he is doing before each step. I just moved and was looking for a new OBGYN. I am very satisfied with my experience and would recommend him. Overall it wasn't a good experience. He was unfriendly and made me feel uncomfortable. In addition to this, he said he would give me my test result and never get back to me until today. It's been over 10 days, mostimportantly he said he would get back to within 2-3 days. I called the office multiple times and operators were not willing to help and I am still waiting my test result. One of the operator said the result is ready but needed doctor's signature and called again then nurse said its not ready... I beleive it's totally unethical and unprofessional. It's a doctor's office not sales department! Dr. Rothman is very experienced and recognized in his field. He is conscientious and caring and has twice helped guide me through breast cancer. As a patient I feel I am getting the best care possible with Dr. Rothman and that I am treated with empathy and consideration. No regard for patient privacy, speaking about my situation in the hallway. Poor word choice and I felt like he was in a hurry. This was my second visit but I will not be returning. Dr. Rothman is the ultimate professional. He treated me respect, listened to my concerns, and answered my questions. He gave me evidence-based information and we engaged in shared decision-making. I recommend him highly for anyone who believes in playing an active role in their own health. Dr. Rothman was knowledgeable and made me feel comfortable during my appointment. He is a warm energetic personality and put me at ease for my first ever gyno visit. He explained everything fully and made sure to refer me to follow up appointments just to be on the safe side. Quick and efficientbut not rushed at all, really one of the best do cote experiences I've ever had- never thought I would say that about an obgyn! I really liked Dr. Rothman. Since it was my first time ever in that office, he made sure to explain everything, not only for that visit but for future visits. I know this sounds like it should be common practice, butsome times you just feel like a doctor is trying to get you in and out. It was not that way with Dr. Rothman. I look forward to my next visit.